Island residents and visitors experienced an unseasonal storm on Sunday, January 27th as a cold front made its way across Belize. 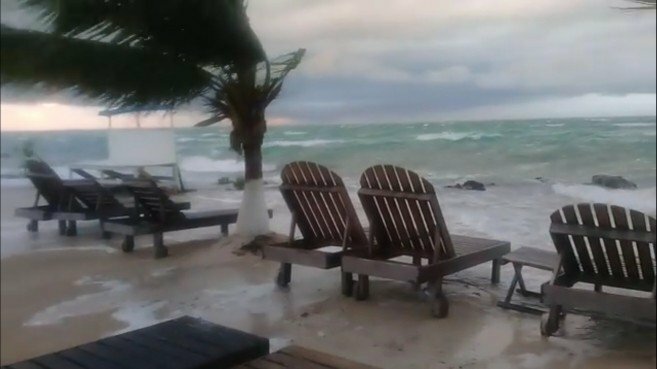 Carrying winds of 5-15 knots, the cold spell made trees sway violently and caused damages to homes and properties on the leeward coast of Ambergris Caye. Classified as Cold Front No. 31 by the National Meteorological Service, the weather phenomenon not only affected Belize but the entire Yucatan Peninsula. The most affected area in Ambergris Caye was the popular tourist destination; Secret Beach. 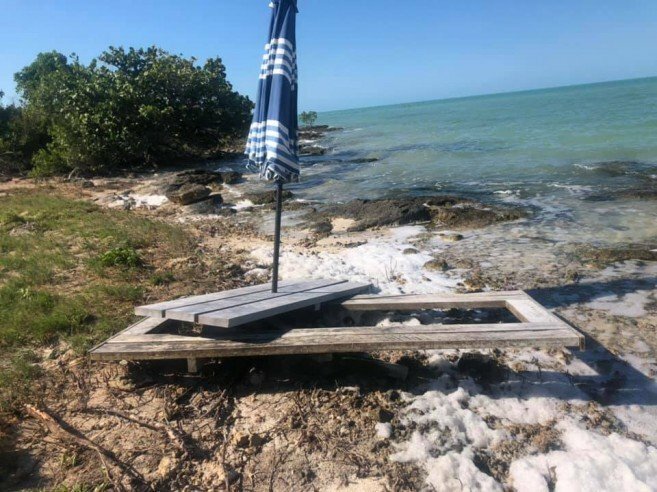 The hurricane like winds that blew southwest to west created powerful waves that damaged tables, lounge chairs and reportedly caused major beach erosion. 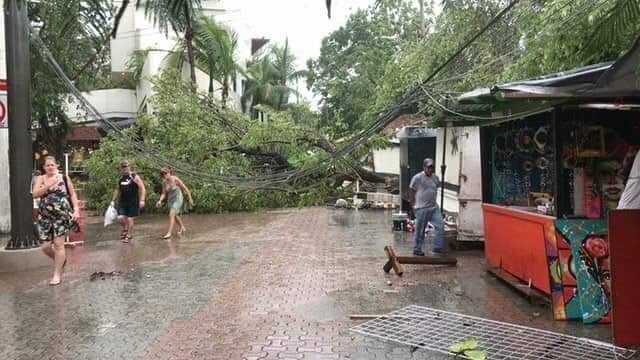 The thatched roof palapas were also affected during the storm, and videos circulating on social media showed staff workers scrambling to secure their workplaces. So far no major damages or emergencies have been reported by the National Emergency Management Organization. 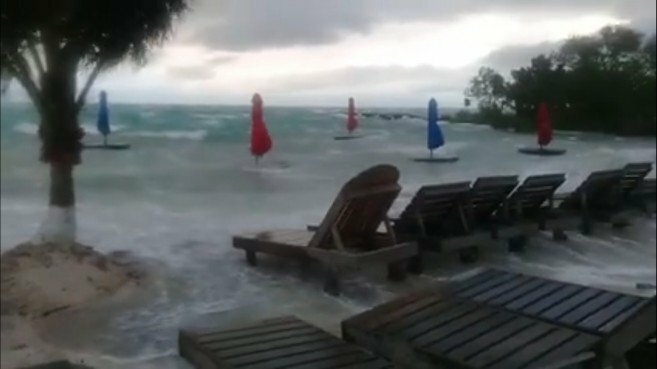 The cold front that blew for less than two hours also affected the neighbouring island of Caye Caulker along with the coastal communities in Corozal and Belize Districts. The choppy seas and strong gusts not only caused inconveniences on land but forced domestic flights out of San Pedro Town to either be delayed or cancelled. Additionally, many international flights bound to Cancun, Mexico had to divert to Belize City or other airports in Central America as landing at the Cancun International Airport was deemed dangerous. 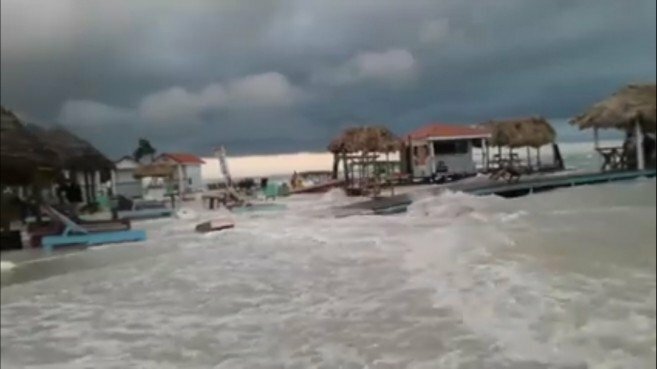 While in Belize the storm only caused material loss, in the Mexican State of Quintana Roo one person died and another was injured. The storm carrying winds of nearly 70 kilometres per hour toppled electric poles and trees, while several vehicles were damaged as well. The storm was so severe along the Yucatan Peninsula, that it forced authorities to activate ‘Operation Storm,’ asking citizens and visitors to stay indoors. Other damages reported included a fire that gutted several boats after a power line caught fire. 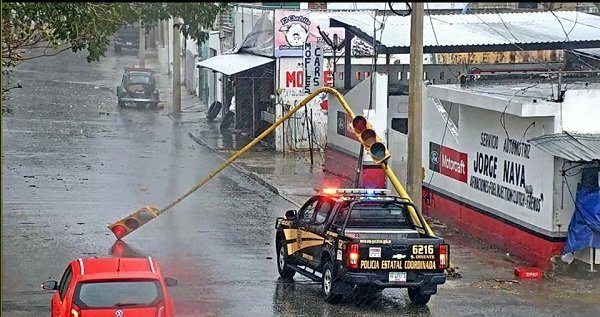 The impact in Mexico also triggered some inconveniences in the electricity services provided in Belize as it affected the Federal Electricity Commission, which feeds the country with electricity. A few power outages and surges were reported on Ambergris Caye, but the electricity interruption was brief. The storm has left the region, however, cool air is expected to prevail for the next 48 hours.